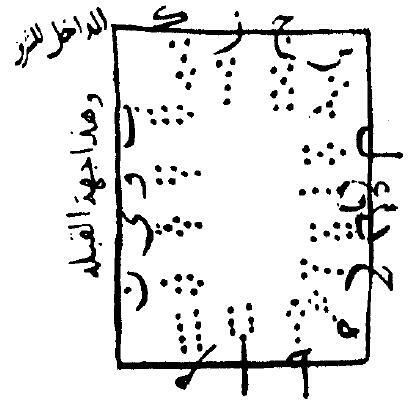 A depiction of an Arabic geomantic talisman to find water. From MS Arabe 2697 fol. 16, Bibliotheque Nationale, Paris, France.